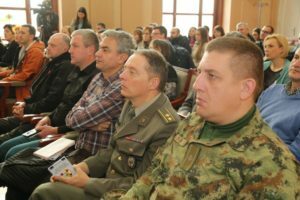 Užice, Bajina Bašta and Višegrad have received 962.000 EUR from the European Union as part of the project “Flood Defence System in Cross Border Area Serbia-BiH”, with the aim to improve the system itself. 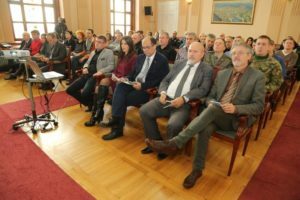 Project manager Aleksandra Tasić said, while presenting the Project in Užice, that the donation would be used for flood damage restoration in Mokra Gora, restoration of 1900 meters of the basin of river Komišina, at 13 different locations, restoration of the basin of river Rača at the estuary to Drina, and the building of a concrete dam in the center of Višegrad. 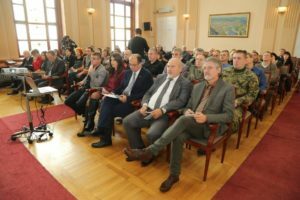 Mayor of Užice, Mr Tihomir Petković, pointed out the benefits of project implementation: “Total value of the project is 962 000 EUR; one third of the donation is planned for the Komišina river and for creating conditions for proper response in case of floods so that we do not have situations like we had in 2008, 2009, and 2014. 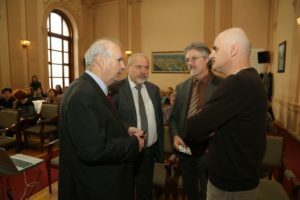 The donation will be used for the establishment of a Civil Protection Unit that will undergo specialized training and be able to react in time”. 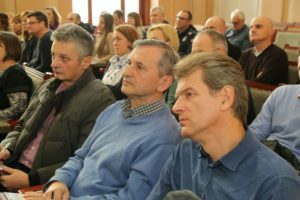 The mayor also pointed out that this project shows how Užice is not giving up on partner projects with the neighboring municipalities of Bajina Bašta and Višegrad: “We are continuing with ongoing activities to create a project with good project activities in order to attract donations – this time EU – which is very important since we would not have been able to implement these activities with the municipality budget”. 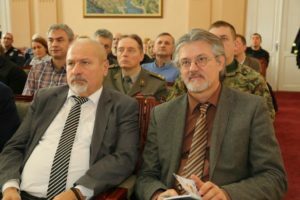 Head of City Department for Inspections and Utility Police, Zoran Militarov, has pointed out that this project means establishment of coordinated work in case of floods at the level of Užice, Bajina Bašta and Višegrad areas, but also establishment of the command and control systems within the municipalities related to protection of citizens, facilities and infrastructure in emergency situations. 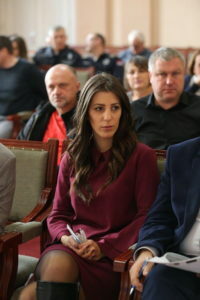 Višegrad Municipality Public Relations Officer, Jovana Borovčanin Đurović, has pointed out the importance of project results to Višegrad: “Višegrad Municipality had many problems with floods in 2009, 2010, and 2014. 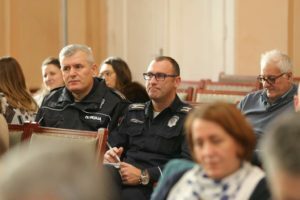 After several years we have managed to become a part of this project, which for Višegrad, means a donation of 320.000 EUR, while the municipality participates with 17% of funds, or around 80.000 EUR”. 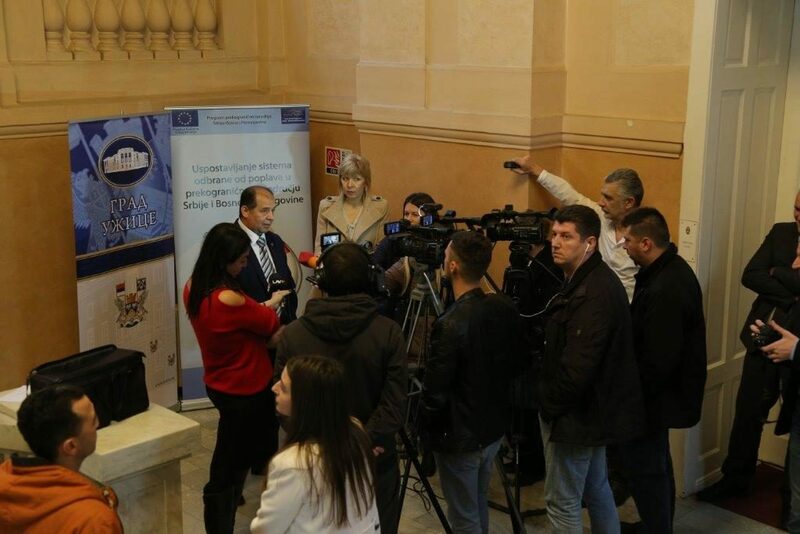 She pointed out that the project envisages the Rzav river bank stabilization, provision of the equipment for Civil Protection Unit, and raising awareness among citizens in relation to the project importance for the municipality and the region, overall. 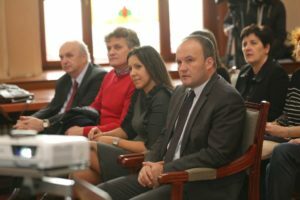 Director of Sport and Tourism Center in Bajina Bašta, Dejan Mlađenović; said that this municipality suffered many losses due to the last floods, and that this project enables prevention of such events in the future: “All the river basins coming down from Tara mountain to the Drina river will finally be stabilized and we will not have problems we had in the past years”.